The major event of the first day (April 16) of the four-day Seventh Congress of the Communist Party of Cuba was the two-hour, live televised address by Raúl Castro, the First Secretary of its Central Committee (and also President and General of the Army). Prior posts provided an overview of the Congress and Castro’s discussion of Cuba-U.S. relations. Most of his address, however, concerned the country’s internal socio-economic and other issues, which will be covered in this post. A word of caution is necessary for my interpretation of what Castro had to say through an English translation and through his way of speaking about and around an issue. I especially invite corrections and amplifications. The Congress, Castro said, would consider theses principal draft documents: (1) a summary of the performance of the national economy over the five-year period from 2011-2015, including a report on the results of the implementation of the economic and social policy guidelines of the Party and Revolution and updating of the guidelines for the period 2016-2021; (2) the fundamental elements of the national economic and social development plan through 2030, the nation’s vision, priorities and strategic sectors; (3) the conceptualization of Cuba’s socialist socio-economic model of development; and (4) progress towards meeting the objectives agreed upon by the First Party Conference and directives of the Party Central Committee’s First Secretary. These documents, he insisted, must not be considered finished works, or an ideological prism, but will be enriched during the Commission’s debates, and subsequently submitted to periodic review, maintaining a dynamic vision of their content. Additionally, he said, these documents reflect the collective work of many different professionals, and were analyzed during two Central Committee Plenums, a process which led to the submission of 900 opinions and suggestions, included in the latest version. Raúl noted that this is the first time a Party Congress has considered the conceptualization of the country’s socio-economic model, one which outlines the essential foundations of the society to which Cubans aspire, to be reached via the process of updating underway. The conceptualization and the basis of the National Economic and Social Development Plan through 2030, following their analysis during the Congress, will not be approved at this event, but rather will go on to be debated by Party and Young Communist League members, representatives of mass organizations and different sectors of society, with the aim of enriching and perfecting said plan, Raúl noted. Raúl noted that when the economic Guidelines were adopted five years ago at the prior Party Congress, it was made clear that “the process of implementation will not be an easy path, free of obstacles and contradictions,” and that the fundamental transformations in the updating of the economic model would take over five years to implement. Efforts to implement the Guidelines have been systematic, he stated, although only 21% of the 313 approved guidelines had been implemented, while 77% are in that process and 2% have yet to be initiated. However, he admitted, the slow implementation of legal regulations and their assimilation have delayed approval of approved policies. “This is precisely about . . . calling things by their name and not hiding behind illogical euphemisms to mask reality. The increase in self-employment and the authorization to contract a workforce has led in practice to the existence of medium, small and micro private enterprises, which today operate without proper legal status and are regulated under the law by a regulatory framework designed for individuals engaged in small business conducted by the worker and his/her family. It was not easy to unpack Raúl Castro’s lengthy address, which came without any captioned divisions and subdivisions and which, in my judgment, did not have a precise logical structure. The above is my attempt to add such captions, highlighting and structure to better understand what he was saying. Obviously Cuba is struggling with how to integrate free enterprise and free markets into its state-run economy. It is finding that is not an easy endeavor. However, I am reminded that as a senior college student in 1960-61 I read a book on that very subject by a Polish economist, Oskar Lange, The Economic Theory of Socialism, in which he put Marxian and neoclassical economics together. He advocated the use of market tools (especially the neoclassical pricing theory) in economic planning of socialism and Marxism. He proposed that central planning boards set prices through “trial and error”, making adjustments as shortages and surpluses occurred rather than relying on a free price mechanism. Under this system, central planners “would arbitrarily pick a price for products manufactured in government factories and raise it or reduce it depending on whether it resulted in shortages or gluts. After this economic experiment had been run a few times, mathematicians capable of solving complex simultaneous equations would be able to plan the economy If there were shortages, prices would be raised; if there were surpluses, prices would be lowered. Raising the prices would encourage businesses to increase production, driven by their desire to increase their profits, and in doing so eliminate the shortage. Lowering the prices would encourage businesses to curtail production in order to prevent losses, which would eliminate the surplus. Therefore, it would be a simulation of the market mechanism, which Lange thought would be capable of effectively managing supply and demand. Proponents of this idea argue that it combines the advantages of a market economy with those of socialist economics. I also was struck with Castro’s frank admissions of the many problems in the economy and the Party: failure to provide most Cubans with an adequate income, inadequate production of food, declining Party membership and the competing ideology of capitalism, wealth and consumerism. There was some irony to Castro’s admissions or complaints. 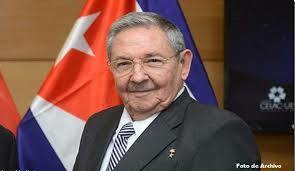 As president of Cuba and head of the Party, he maintains near-total control of the country. And the slowness he derided is an essential part of his own policy. Castro repeated Saturday that Cuba’s reforms would be “with neither haste nor pause” and that the country would never feel the “shock therapy” experienced by other socialist states. Castro touched on the problems associated with an aging and urbanized population. However, he did not connect the increasing departure of young Cubans seeking better economic opportunities, such as those recently transiting through Central America, as contributing to the aging population. Aren’t those young Cubans voting with their feet on the current and future economic prospects in Cuba? And there is no countervailing movement of great numbers of young people to come and live in Cuba. Neither of these groups see Cuba as utopia. Like most observers, I was surprised to hear Castro, age 85, call for term and age limits for future leaders of the Party and the government. Unsurprising was the continued hostility towards the U.S. and its ideas. Congress documents will be submitted to a broad discussion, Granma (April 16, 2016); 7th Party Congress underway, Granma (April 16, 2016); Raúl Castro, Central Report to 7th Congress of Communist Party of Cuba, Granma (April 16, 2016) (text in original Spanish); Raúl Castro, Central Report to 7th Congress of Communist Party of Cuba, Granma (April 17, 2016) (text in English translation); Burnett, Raúl Castro Urges Cubans to Remain Alert to U.S. Efforts to Alter Communist System, N.Y. Times (April 16, 2016); Reuters, Castro Hardens Rhetoric, Warns Cubans to Be Alert to U.S. Intentions, N.Y. Times (April 16, 2016); Assoc. Press, Raul Castro Presents Grim Picture of Cuban Reforms, N.Y. Times (April 16, 2016); Torres, Raúl Castro proposes age limits on key jobs in CCP, Miami Herald (April 16, 2016); Raúl Castro derides US democracy in speech to Cuban Communist Party, Guardian (April 16, 2016); Editorial, Rhetoric and reality in Cuba, El Pais (April 17, 2016). The new deep-water port at Mariel, Cuba just west of Havana and its associated industrial park have been discussed in a prior post: Port of Mariel Cuba Has Great Potential for U.S. Business (April 1, 2016).